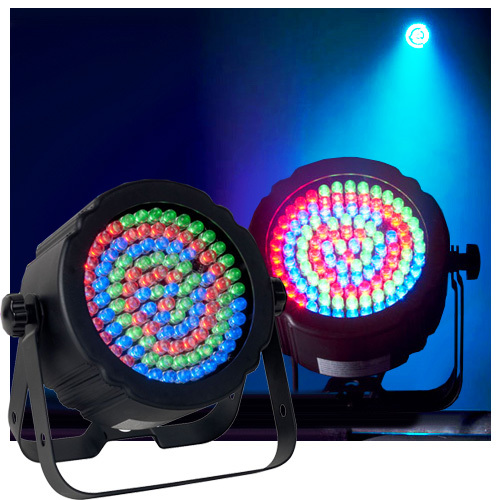 The Eliminator Lighting Electro Disc LED is a par 56 fixture that is perfect for color washes. Daisy chain up to 40 fixtures to wash large areas in bright efficient LED light. The fixture can be controlled by DMX or set up as master/slave and controlled as a group with the optional remote control (Electro IRC). Power Cord Daisy Chain: 40 Fixtures Max. Dimensions (L x W x H): 10.25" x 9.5" x 4"